We are one of the most successful cougar operations in the world. Between myself and my guides we have helped over 2,000 clients fulfill their dream of harvesting a Trophy Mountain Lion. We are not lion hunters, we are lion catchers. Our lives have been dedicated to raising, training and improving our strain of Big Game Hounds. Until you have watched a pack of hounds working a track you will never fully understand the passion of a houndsman watching a good dog work. 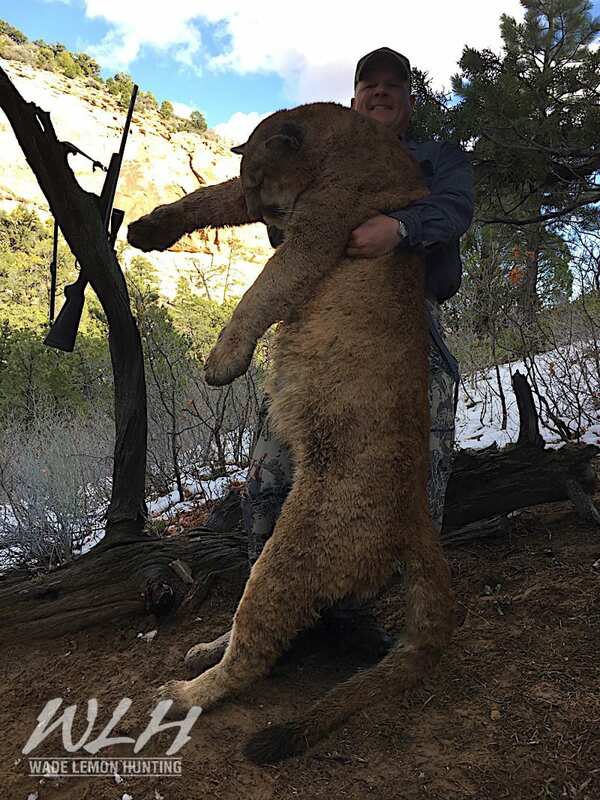 Over the years our clients have harvested more record book lions than any other Outfitter in history. Our clients hold many of the top rankings in SCI. B & C, and P & Y record books. 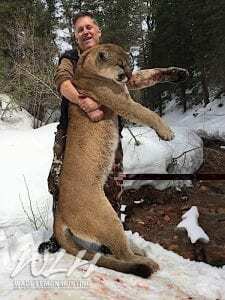 Recently Our good friend and client, Tom Teague, harvested the New World Record lion with a muzzleloader breaking our previous record held by Don Perrin. 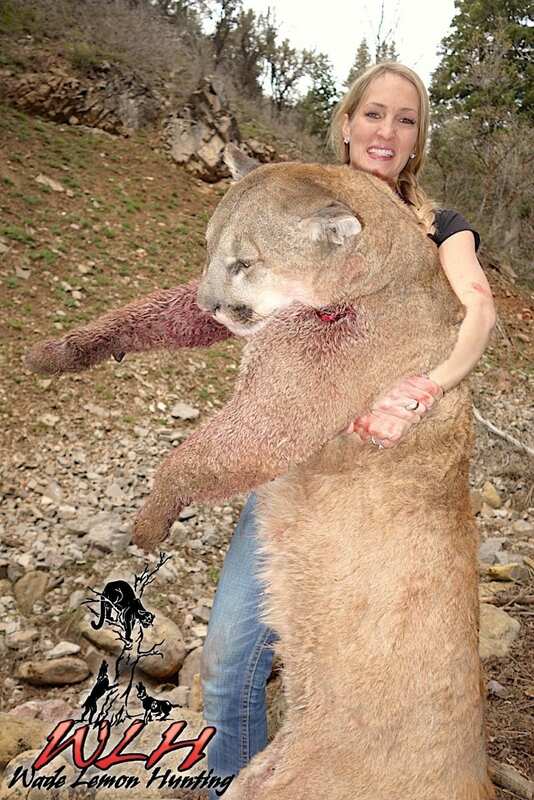 Most of our cougar hunting is from November thru May. Each year we achieve nearly 100% success. 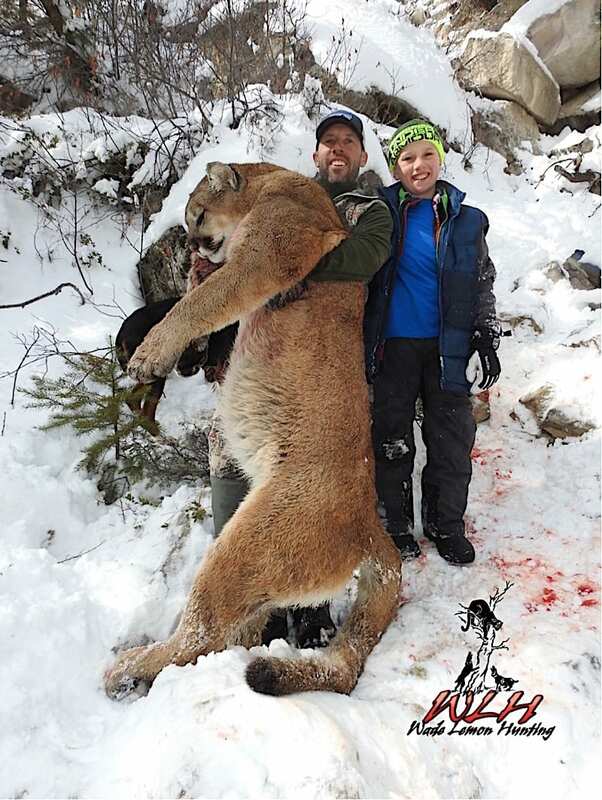 We have some areas and reservations where we are able to hunt lion year round. We conduct Springtime, dry ground hunts as well as winter snow hunts. Our hounds are trained to catch lion no matter the conditions, ensuring that we continue to be the most successful Cougar Outfitter in the west! Come with us and follow our pack of well-trained hounds as they track one of these elusive big cats through the West’s most scenic country. We can assist you in obtaining your harvest objective tag, conservations tag or help you with the draw. 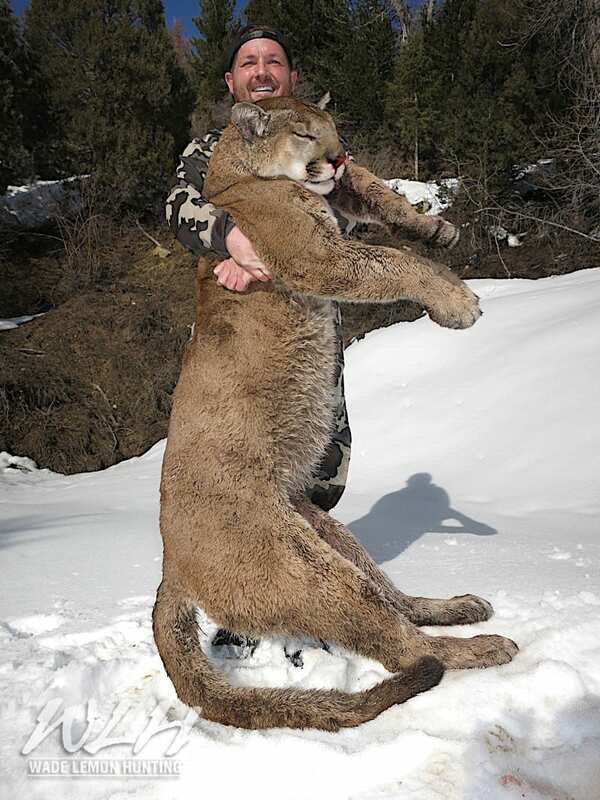 We can also hunt Bobcat/Lynx cat from November to February. 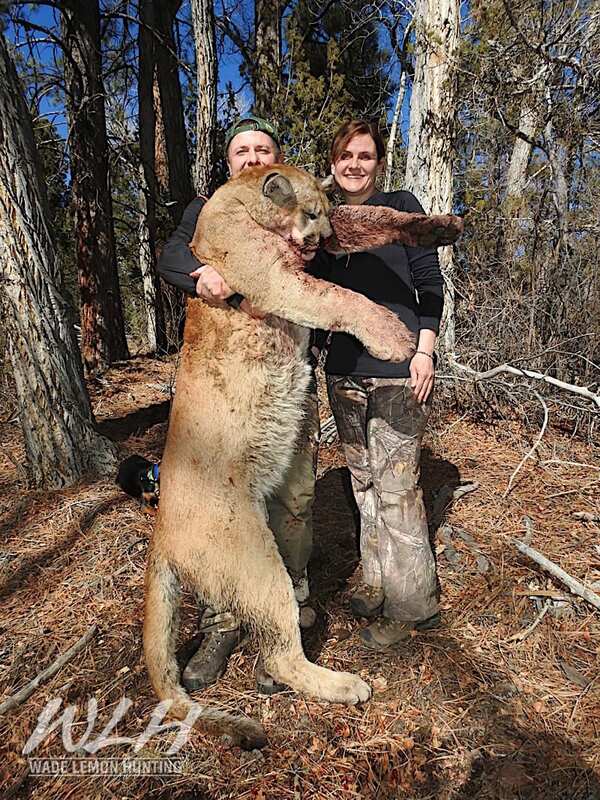 This hunt can be combined with lion or can be hunted separately. Tags for Bobcat/Lynx cat are restricted and must be obtained along with your Furbearer license in October.